You political junkies might start feeling the effects of withdrawal this week. Wisconsin was the last primary to feature both parties for two weeks. Now there's just Saturday's Democratic caucus in Wyoming to hold you over until New York votes on April 19. Those will be 10 straight days with no new results to parse through, victory speeches to critique, or even delegate math to rehash. So milk Wyoming for all it's worth and maybe — just maybe — you'll make it through unscathed. Taking that all in mind, one thing to know is: How many delegates does Wyoming have? Of course that all depends on which party you're talking about. The Dems are the ones heading out to caucus on Saturday, so let's look at them first. There are 14 regular delegates up for grabs. The state also has four superdelegates. All four are DNC members and have already pledged their support for Clinton. The normal delegates are, like always in the Democratic race, apportioned proportionally based on the total support each candidate gets at the county caucuses (or conventions, as they're called in the state) — as long as they meet the 15 percent threshold. Like many states, Wyoming apportions some of the delegates by congressional district. But because cutely (or sadly) Wyoming only has one congressional district, it's a moot point. The latest poll don't really tell us anything specific about Wyoming. The latest national polls put Clinton ahead of Sanders by almost six points. That said, Sanders has tended to outperform Clinton in caucuses and has carried all the bordering states that have voted thus far: Idaho, Utah, Colorado, Kansas, and Nebraska. Barack Obama swept the state in 2008 with a 23-point lead. 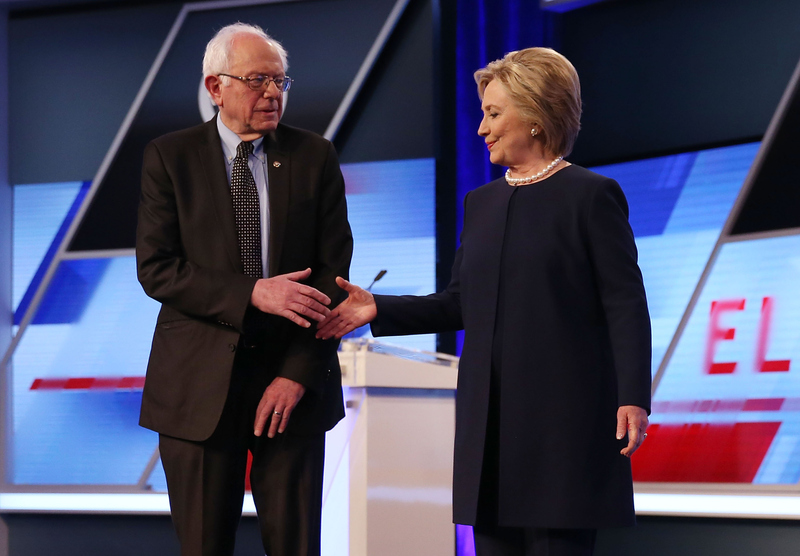 Sanders will have to perform similarly if he hopes to have a chance at winning the nomination. FiveThirtyEight's Nate Silver released updated delegate goals that Sanders will need to meet if he's to challenge Clinton. He already missed the goal in Wisconsin, despite winning the state. He got 48 delegates but needed 50. In Wyoming, he will need to win 11, plus make up a few more along the way. That will be difficult seeing as how Wyoming is the last caucus state. Fourteen more delegates will be elected at the statewide convention on April 16, a week after the Democratic caucus. The three delegates made up of GOP officials will also be announced. They can vote however they would like at the convention, three of the few truly unbound GOP delegates. So, that's all she wrote about Wyoming, folks. These next two weekends you'll be paying even more attention to this sparsely populated than when your family took a road trip to Yellowstone.